Research on black holes and neutron stars is an active area of study in Cornell Astronomy. A large numerical relativity group is devoted to computing the merger of binary systems containing two black holes, one black hole and one neutron star or two neutron stars. These coalescences are target systems for gravitational wave astronomy. Cornell participates in NANOGRAV, which aims to detect gravitational radiation from various sources, including the interaction of a pair of supermassive black holes, via sensitive pulsar timing. Accretion onto both black holes and neutron stars is studied by members of the department, as are the atmospheres and surfaces of the most magnetic neutron stars. 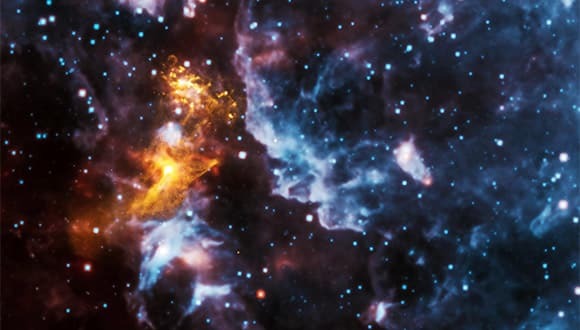 Radio observations are being made to discover new pulsars, particularly exotic ones that are spinning very fast or massive or in binary star systems with other compact objects. Cornell astrophysicists are interested in the implications of these observations for high density nuclear physics.